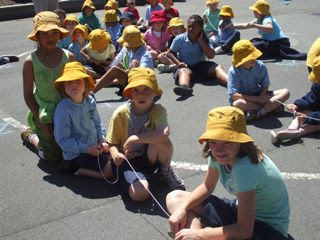 The focus of 'Walk the Walk" was on getting the children to understand what our Addington Attitude and our school qualities were all about. We had a fun afternoon involving orienteering, cooperative games and team work. The activities were based around our nine school qualities. 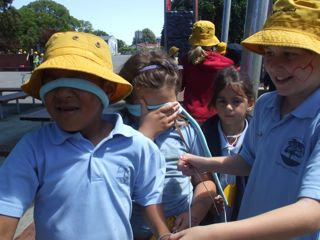 Children were in groups of 3-4 and had to hold on to a length of string as they went around each activity. At the completion of each activity the children were given a piece of puzzle. These, once put together, spelt out our 9 qualities,Integrity, caring, risk taking, acceptance responsibility, respect, resilience, personal best and passion.